(11min 25sec) The Butcher Block returns with a bang! Hear Jim read chapter 1 of Turn Coat: Part 1 of a 5-part series! Thank you! I’m looking forward to reading this, and many more books with Harry Dresden. I decided to read the dresden files after I read a short from “many bloody returns” and I got hooked. I can’t wait to read turn coat!! Sooooo excited. 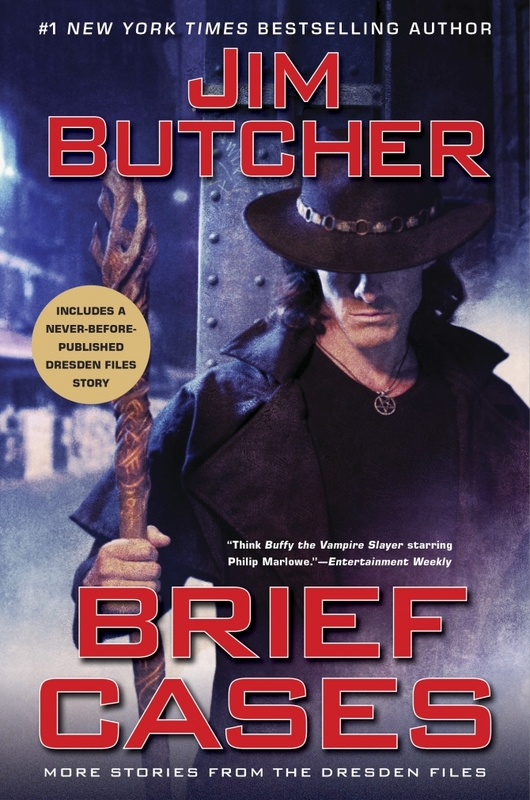 I’m completely hooked on the Dresden Files, recently read Back Up, excellent, excellent, but too short. 70 pages… not much of a fix… oh well, it was worth it. =) My mom hooked me on the series about a year ago just by handing me a random book she picked out at the library, and i’ve recently infected my friends with the fever. =P Hope the books never end! I use to watch the Dresden Files when it was on television (and was very disappointed that it didn’t continue on). Then a friend turned me onto the books and I’ve been hooked ever since. I’m now on my 4th go round of reading the books anxiously awaiting for Turn Coat to come out! Love the Dresden Files! Keep the books coming! If James Bond could have 20+ movies I do not see why Harry Dresden cannot have his own movies. Harry not only gets the girl, but he is also A LOT funnier. Looking forward to Turn Coat. Jim still needs to come to Florida for book signing tour though. Excellent! I can’t wait! Hopefully a bit more development in the Black Council plot. I am looking forward to the next Dresden Book! I have all of the others in print and audio. I listen to James Marsters read them to me everynight. Can’t wait for all of the other audio versions to come out! THANKS JIM FOR GIVING US HARRY DRESDEN. Justine, could you be more specific about how the download link isn’t working for you? Did you right click and save the MP3 onto your hard drive, or just click it straight up and not have your browser set up to play MP3s inline, or something else? This is a great series. I’ve never enjoyed an entire series this much. I would love to see a real, book driven movie sometime. Ben Barnes as Harry. Ashton Kutcher as Thomas…the pc guy as butters…the voice of stewie as bob! I just love this book series! I’ve read all of the books, the novelette, and one of the graphic novels. I plan to pre-order Turn Coat and camp outside Barnes and Noble with a leather duster, a staff, a huge stuffed cat, and possibly a dog. my life will continue to be unmanageable until I find out when I’ll get my next hit!! Any clues?